Ceramic bowl is dishwasher safe, 7-3/4 inches in diameter, 3-3/4 inches tall. 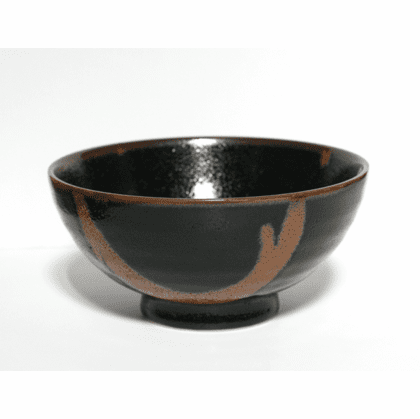 Matching Black Citrus Rust Flow Bowl, 5-1/4 diameter Bowl available. Matching Black Citrus Rust Flow Flare Bowl available. Matching Black Citrus Rust Flow Plates, 7-3/4" or 10-1/4"available.